Immediately after the 40 east turn, we’ll approach 40 west. 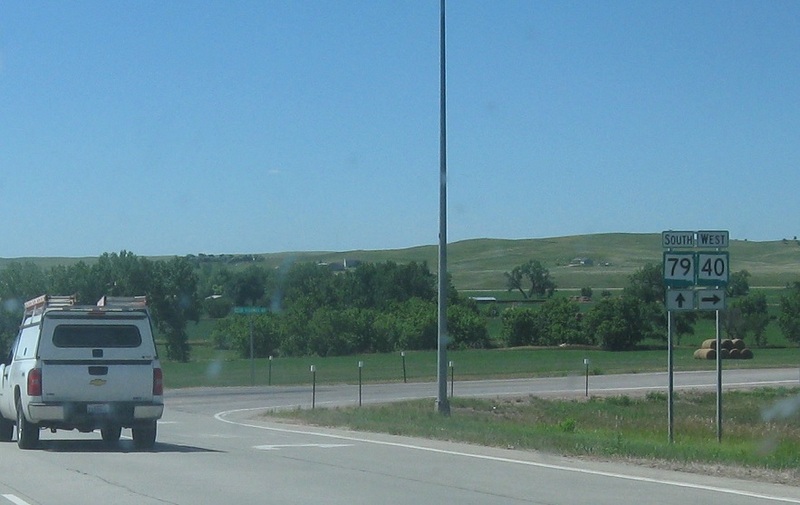 Stay on SD-79 to head to US-18 (erroneously signed as SD-18). 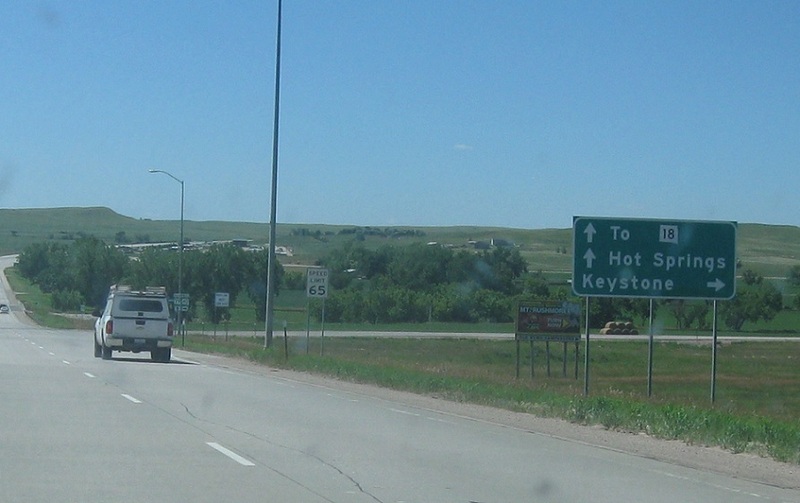 Follow 40 west to Keystone and Mt. Rushmore. Turn right for 40 west. Stay straight for 79 south.